Botswana: This is still high season in Botswana. It's a wonderful time for wildlife, especially as this is the driest hottest month, so wildlife is very much concentrated around water sources. Excellent time for elephants in the Linyanti and Chobe in particular. Kenya: It's hot and it's dry … excellent for game viewing in all parks. The migration is still in the Masai Mara though will probably start to move south again towards the end of the month. 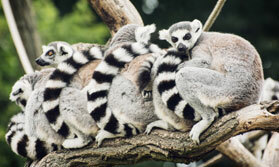 Madagascar: September and October are classed as two of the best months for wildlife viewing in Madagascar. 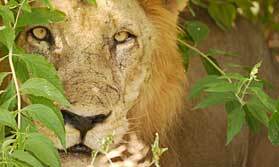 Malawi: One of the best months for wildlife viewing in parks such as Liwonde and Majete. Great birding. Mozambique: See humpback whales in the south from about June to September, and from about August to October in the north. Rwanda & Uganda: The short rains can start in October, but it's still a good time to visit, including trekking to see gorillas and chimps. South Africa & Swaziland: This is a great month for wild flowers (usually up until mid-month) in the Cape and Garden Route. October is also peak season for whales near Hermanus, with sightings most days. Gameviewing in most reserves are fine in October though with some chance of rain. Tanzania: The Serengeti, Selous, Ruaha … the wildlife reserves of Tanzania are at their peak from July to October. In October the wildebeest migration is in northern (and some in central) Serengeti in Tanzania, as well as in Kenya's Masai Mara. For something unusual, consider the very remote Katavi, and see chimps in Mahale … amazing. Zambia: South Luangwa, Kafue, Lower Zambezi and all the excellent reserves here are in peak season for superb wildlife viewing from July to roughly the end of October. The Busanga swamps in Kafue are accessible now. Carmine bee-eaters are back in numbers. It's very hot. Brazil: October is a great month for spotting wild jaguars in the Pantanal (June to October). Combine the Pantanal with the Amazon for an incredible wildlife experience. August to October is also peak season for southern right whales in Santa Catarina. 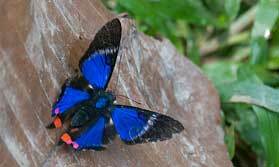 Costa Rica: It can be quite wet in October, but it's still great for wildlife. From July to October in Tortuguero turtles come ashore to lay eggs. Ecuador & Galapagos Islands: The Galapagos Islands offer a year-round wildlife spectacle which is hard to beat. This is a time when marine wildlife is generally very active. Swimming with sealion pups is not uncommon. Dolphin and whale spotting is quite common. Combine this with time to explore the mainland to see the wildlife of the Amazonian rainforest plus the Andean regions with Andean markets and haciendas. Peru: October is a generally good month for most wildlife experiences in Peru. The claylicks in the rainforest are attracting parrots, macaws and parakeets in good numbers from August to October. Botswana is hot but incredible in October. Wildlife viewing is superb in October in Madagascar. Malawi is a great mix of wildlife and beach. The annual migration is in Kenya's Masai Mara and Tanzania's northern Serengeti. Some of Tanzania's most remote and little-visited parks are at their best now … Katavi, Ruaha and Mahale. Zambia for truly unbeatable wildlife viewing in stunning landscapes with few people. 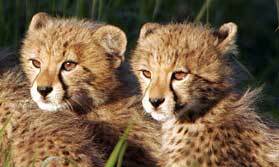 See South African wildlife and marine life. Wildlife viewing in the Pantanal and Amazon is great in October, especially for jaguars and giant otters. Great wildlife sightings in the Galapagos as always. Peru's Amazon rainforest is a good option for wildlife. Don't discount Costa Rica, even though it can be wet. Madagascar: The tropical beaches of Nosy Be and other areas are gorgeous. 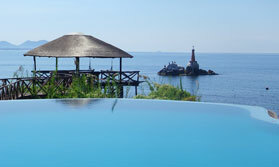 Malawi: Lake Malawi is a wonderful place to chill out and there are excellent water sports here. Combine with wildlife and walking. Mauritius: Mauritius is good most of the year, with May to December being the best months. It's warm but not too humid in October. Excellent beaches and many superb hotels. Mozambique: The beaches of Bazaruto archipelago and the Quirimbas Archipelago as well as the mainland are all good in this dry season month. South Africa: The eastern region of KwaZulu Natal has stunning coastline. 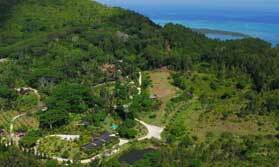 Try rustic cabins at Kosi Bay or luxury lodges of Kosi Forest or Thonga Beach. Whilst this area is heading into a wetter season, this coastline almost always has decent weather. Brazil: October is a popular month to visit the beaches of Salvador and the north east. 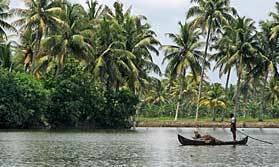 India: The beaches at Kerala are hot and a great place to chill out at this time of year. Consider the tropical beaches of Madagascar. Enjoy lakeside relaxation and water sports in Malawi. Mauritius has famously good beaches and hotels. Mozambique's Bazaruto or Quirimbas Archipelagos are gorgeous. South Africa's east coast region of KwaZulu Natal are good, and the Cape starts to come into its own. Kenya has some beautiful beaches and small islands to enjoy. Try Zanzibar or another of Tanzania's small Indian Ocean islands such as Fanjove or Pemba. Head for the beaches in Brazil's Salvador and the north east. India's Keralan beaches are definitely worth considering. Aqaba on the Red Sea is good for relatively close sun, sea and sand. South Africa: Head for Mpumalanga region, west of Kruger, to see sights like the Blyde River Canyon, Bourke's Luck Potholes and God's Window on the so-called Panorama Route. This links nicely with wildlife viewing in Kruger. Some rain is possible, but it's still a good month. The Cape is just coming out of the rainy cooler season, and a great place to come for sightseeing in Cape Town, the Garden Route and Winelands. Brazil: Maybe come to Brazil to explore Rio and Iguazu Falls, and combine this with some wildlife in the Pantanal or Amazon. Ecuador: Ecuador is good all year. Visit Indian markets and colonial cities such as Cuenca, or hike in the Andes or take in the Galapagos. 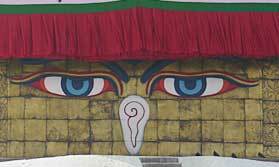 Bhutan: This is a good month to explore and maybe visit some festivals. 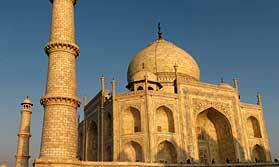 India: The summer heat and rain has stopped, and October is a good month to visit. Diwali is usually in October or November. Nepal: This is a good month to explore, there are some great places to see. October is a lovely time for Morocco. Hot but not too fiercely hot. Waters are at their lowest, but Victoria Falls is always impressive. Perhaps take in Rio and Iguazu Falls. October is a good month for Nepal, India and Bhutan. Madagascar: Madagascar is a great place for hiking as well as seeing the wildlife and enjoying great beaches of course. South Africa: The Cape region is warming up now and always good to visit. KwaZulu Natal good for walks cycling, horse riding and other activities would be excellent. Combine with some beach time or a safari for an exciting African adventure. Peru: It's a good month to be in Peru. 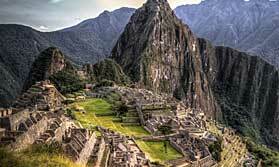 How about the challenge of the Inca Trail? Bhutan: October is a lovely month for trekking under crisp blue skies. KwaZulu Natal in South Africa's east is still pleasant now, as is the Cape. October is a good month for trekking in Bhutan, India and Nepal. KZN is the ideal outdoors playground, teeming with wildlife, stunning views at every turn and activities for all the family.